Manchester United are reportedly ready to rival Arsenal, Chelsea and Liverpool for Torino striker Andrea Belotti. Chelsea and Arsenal both were heavily linked with a January move for the Serie A hotshot. Last month several reports claimed that the Gunners had even tabled a £50million bid to try and lure the striker to leave Italian football. Deadline day rumours suggested Chelsea were also in the race. Transfer Market Web suggested that Liverpool had entered the race at the very last minute to sign Belotti. The same source now report that Manchester United have joined the hunt plotting a summer move. Jose Mourinho has even sent few scouts from Old Trafford to watch the striker in action and analyse the current situation. The striker may well arrive at Manchester United if the Antoine Griezmann deal fails. Man United may look for a fresh face to take charge of their attacking line in the near future. Ibrahimovic, while believed to be on the brink of a contract extension, is already 35 years old. Belotti would be an ideal strategic replacement, bringing added mobility and selflessness as well as his exceptional tactical brain and technical qualities. However, any deal for Belotti would cost the Red Devils a hefty sum. The Italian attacker signed a new deal earlier this season which apparently raises his buyout clause to £84million. However, the Premier League giants reportedly face a stiff challenge from Real Madrid to sign the Italy international. 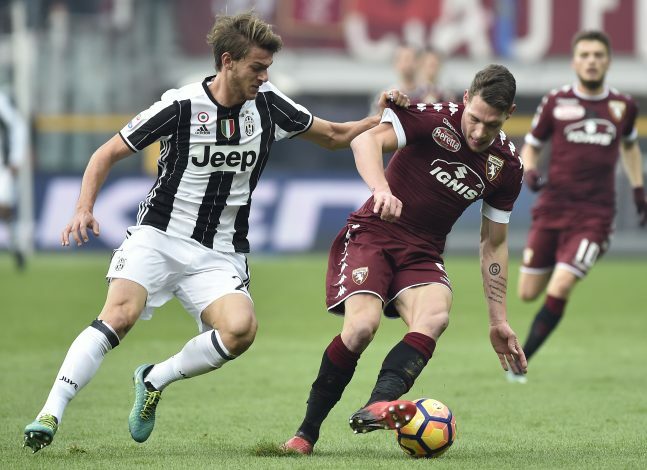 Italian newspaper Gazzetta dello Sport last week said a meeting has been scheduled between the Spanish giants and Torino this week.